Dell has rolled out a new set of all-in-one PCs including a new addition to the XPS lineup for those who want an Apple iMac without actually buying an iMac. The new Windows PCs boast all the features you would expect of a new desktop all-in-one including Ivy Bridge third-generation Intel Core processors, loads of RAM and hard drive space and big, beautiful screens. But if you're looking forward to touch-friendly Windows 8 later this year, you might want to stay away from these PCs as Dell didn't say one word about touch with its new crop of all-in-ones. Leading the way in Dell's new lineup is the XPS One 27 featuring a 27-inch WLED display with Quad HD 2560-by-1440 resolution. The desktop computer also features a Core i5 or i7 Ivy Bridge processor, 4GB DDR3 RAM, 1TB hard drive, DVD drive (optional Blu-ray upgrade), HD Webcam, Bluetooth 4.0, Wi-Fi, 4 x USB 3.0, 2 x USB 2.0, HDMI in and out, 8-in-1 media card reader, and Windows 7 Home Premium. The XPS One 27 will be priced at $1,400 at launch. 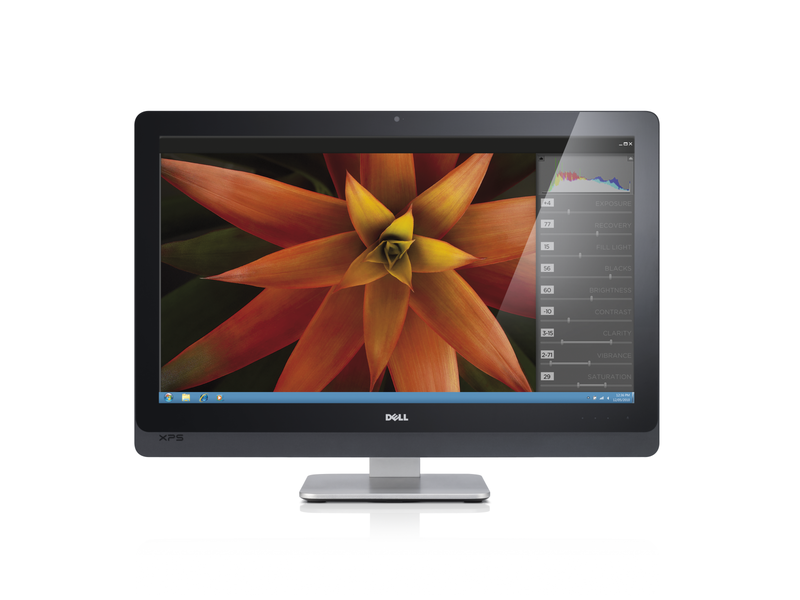 Two new Inspiron all-in-ones are also headed to Dell. The Inspiron 23 features a second-generation Sandy Bridge Core i3, i5 or i7 processor, a 23-inch WLED display with 1080p HD resolution, 2GB DDR3 RAM, and a 500 GB hard drive. 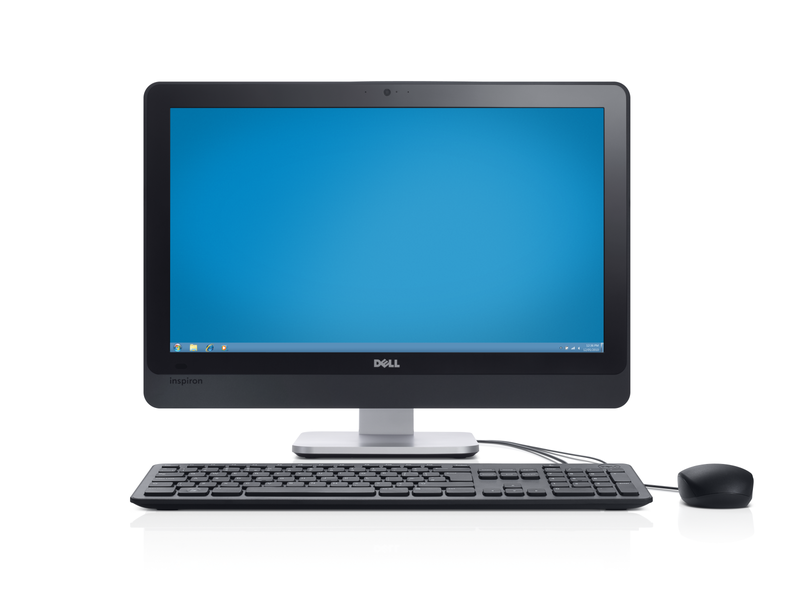 Similar to the XPS One 27, the Inspiron One 23 also features a DVD drive (optional Blu-ray upgrade), 4 x USB 3.0, 2 x USB 2.0, Bluetooth 4.0, Wi-Fi, HDMI in, an 8-in-1 media card reader, HD Webcam and Windows 7 Home Premium. The Inspiron One 20 is rocking an Intel Pentium dual-core or Sandy Bridge Core i3 processor, 20-inch WLED display with 1600-by-900 resolution, 2GB DDR3 RAM, a 500GB hard drive, DVD drive (optional Blu-ray upgrade), HD Webcam, 5 x USB 2.0, Bluetooth 4.0, Wi-Fi, an 8-in-1 media card reader and Windows 7 Home Premium. The Inspiron One 23 and Inspiron One 20 are priced at $750 and $530, respectively. All three devices will be available in Dell's U.S. store in the coming weeks.